Paige and her husband decided to keep the gender a surprise. Paige thought her entire pregnancy she was having a boy, so you can imagine the tears of joy when they found out it was a GIRL! Savvy Fae went nameless for 3 days. Dad wanted to name her Savage, but mom wasn’t keen on the meaning. They happily agreed on Savvy Fae! 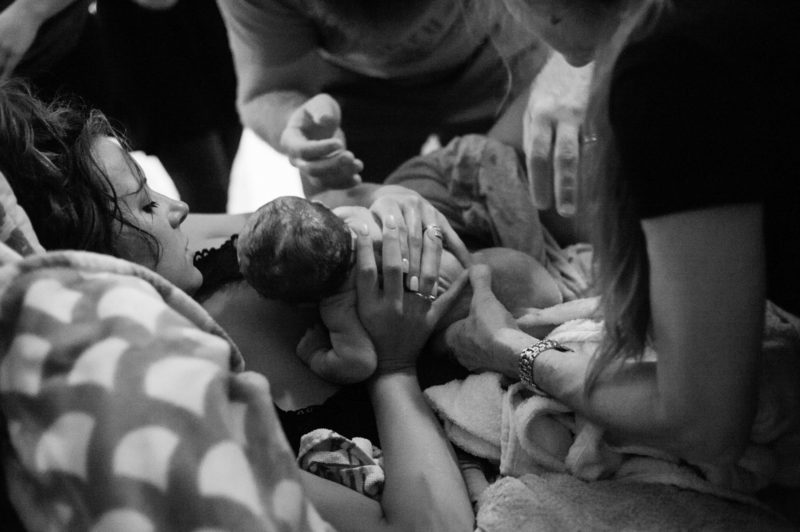 Since the birth of sweet Savvy Fae, Paige has made an (unexpected) impact in the birth world. After streaming her birth LIVE on Facebook, women all over world have followed in her footsteps and are also streaming their birth live in the BirthTUBE Facebook group. Check it out! Today’s episode is sponsored by Munchkin. Munchkin is on a mission to be the most loved baby lifestyle brand in the world. For over 25 years Munchkin has been creating smart, innovative products ranging from safety products to award-winning sippy cups to diaper pails, and now even consumables (look out for their Milkmakers Lactation Cookies). Forget about the stress and chaos and enjoy the simplicity and smiles of parenting, because Munchkin knows that it’s the little things that make the biggest difference.